Our Story - Frederick Air, Inc.
We are Frederick County’s only Bryant Factory Authorized Dealer. 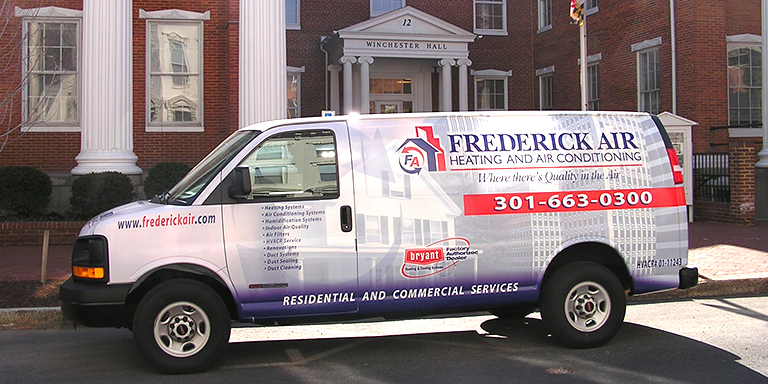 When you need the highest quality heating and cooling systems in Frederick County, then you need us! We have been providing services for your neighbors since 1992, and have a hard-earned reputation for quick, honest work and excellent service- from the person that answers the phone, to the technicians in your home for repair or maintenance visits. 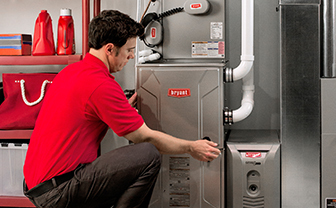 Like Bryant, we do Whatever It Takes to meet your service, maintenance, and installation needs- and exceed your expectations. Frederick Air was founded on it, and has grown with it, first and foremost. Every one of our people is a dedicated professional. 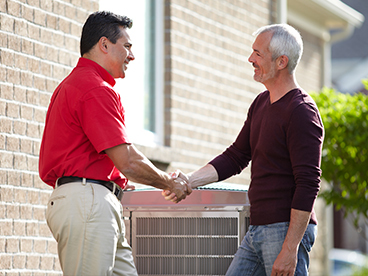 We not only handle installation, maintenance, and repairs; we also solve heating and cooling problems, prolong the life of systems, make them more efficient, and show you how today’s high-efficiency systems can pay for themselves in a few years. We stand behind our work and Bryant stands behind us. Our Mission at Frederick Air, Inc. is simply provide whole home solutions to the residents and businesses of Frederick County and surrounding areas by delivering the highest quality service, maintenance, and installation of heating, ventilation, and air conditioning equipment, while maintaining a family friendly work environment for the company’s employees; and do it so well that it is profitable. Our Vision at Frederick Air, Inc. is to aggressively maintain and improve our well-earned reputation, market dominance, and innovation; growing profitably and becoming debt-free, from one generation to another, while being outrageously generous. Everything is done with excellence. We respect others and treat them the way we would want to be treated. We do not sell to customers, we educate. 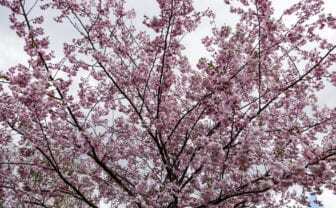 We pursue opportunities to be generous and compassionate, internally and externally. We are engaged in our community. Different isn’t always “better,” but “better” is always different. There’s no doubt about it: A Bryant Factory Authorized Dealer is different and, it’s a dealer that makes a difference… in customer comfort, customer satisfaction and in the local community. But, “different” isn’t enough. What makes a Bryant Factory Authorized Dealer stand out is the unparalleled performance the company offers-true excellence in every aspect of operations, product solutions and technical know-how. When choosing a dealer, look for the Bryant Factory Authorized Dealer emblem which indicates your dealer has met high standards for superior skills, superior service, superior products, superior comfort and a superior promise-in writing-of 100% satisfaction, guaranteed. * This is what your Bryant Factory Authorized Dealer and the dealership emblem stand for. Only those dealers who meet Bryant’s high standards and close scrutiny – not only for their technical expertise including using Factory Authorized Parts wherever possible to preserve your equipment efficiency and sound requirements, but also for their business practices and customer service quality – earn the Bryant Factory Authorized Dealer distinction. All Bryant Factory Authorized Dealers have, as part of their team, at least half of their technicians North American Technician Excellence (NATE) certified. NATE is the leading certification program for technicians in the heating, ventilation, air conditioning, and refrigeration industry and is the only test supported by the entire industry. *This guarantee will be provided, in writing, by your Factory Authorized Dealer. 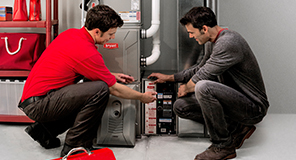 Applies for one year from the date of installation on residential add on and replacement installs only. Does not apply to new construction installations. Subject to conditions and limitations. See your Factory Authorized Dealer for details.